Triangle Commons Manalapan condos for sale. Interested in other Manalapan condos? Triangle Commons in Manalapan is conveniently located off of Route 9, southbound lane, south of Gordons Corner Rd. In the late 1990’s, 47 townhouses were built. The homes in Triangle Commons Manalapan have three bedrooms and 2.5 baths. Additionally the homes have a basement and a one car garage. The monthly association fee includes common area maintenance, snow removal and trash removal. In addition, your pets are welcome in Triangle Commons. Because FHA financing is not approved in Triangle Commons, purchasing a home with an FHA loan is not possible.. However, there are other alternatives that will allow you to purchase with a low down payment. If you call us at 732-598-7700 we can discuss this further. 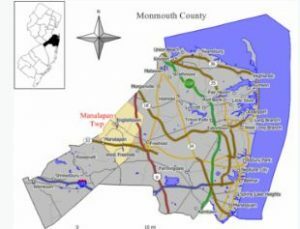 Children in elementary and middle school will attend schools in the Manalapan-Englishtown Regional District. There are eight schools in this school district. When students enter high school they will attend Manalapan High School. This school is one of the schools in the Freehold Regional High School District. The six high schools in the Freehold Regional High School District. Commuters will love living here because of the location. It is within walking distance to bus service to New York. Specifically, the schools are Manalapan, Colts Neck, Freehold Township, Freehold, Howell and Marlboro. There are specialized Learning Centers in each of the six high schools for students who are talented and highly motivated. Furthermore, each school offers different specialized courses. Any student from the region can enroll through a competitive admission process. Commuters will love living here because of the location. In fact, it is within walking distance to bus service to New York.